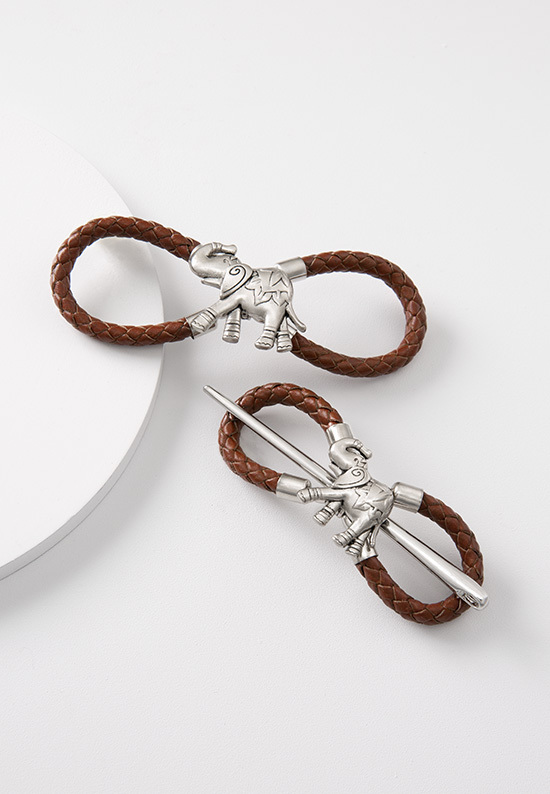 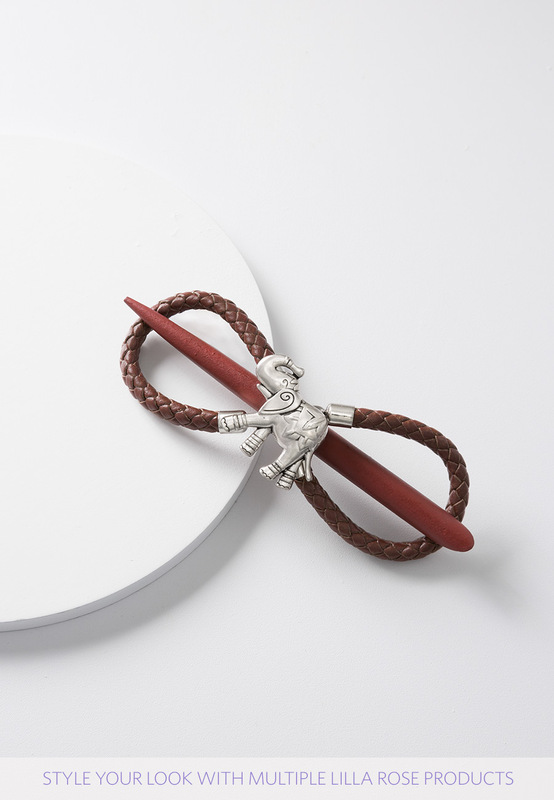 Brisa features an elephant complete with brown colored genuine braided leather and shaped into the flagship Flexi Clip.  Suggested with the nickel Macie stick for a classic look. 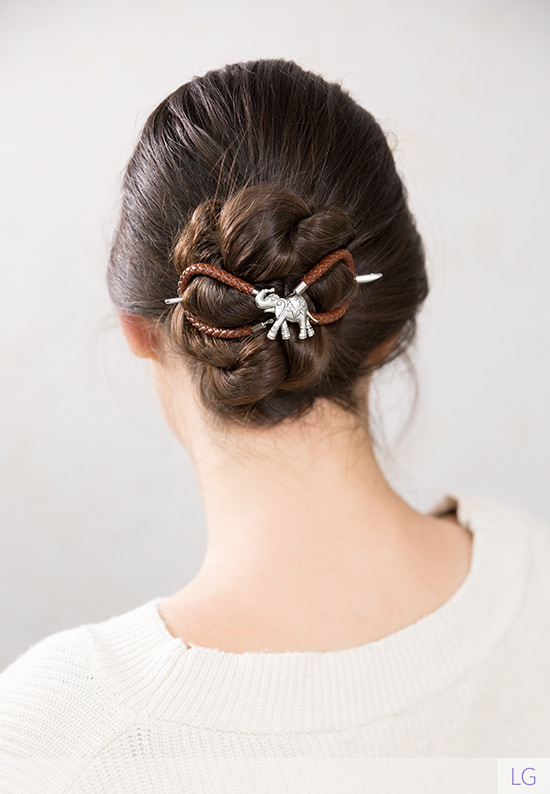 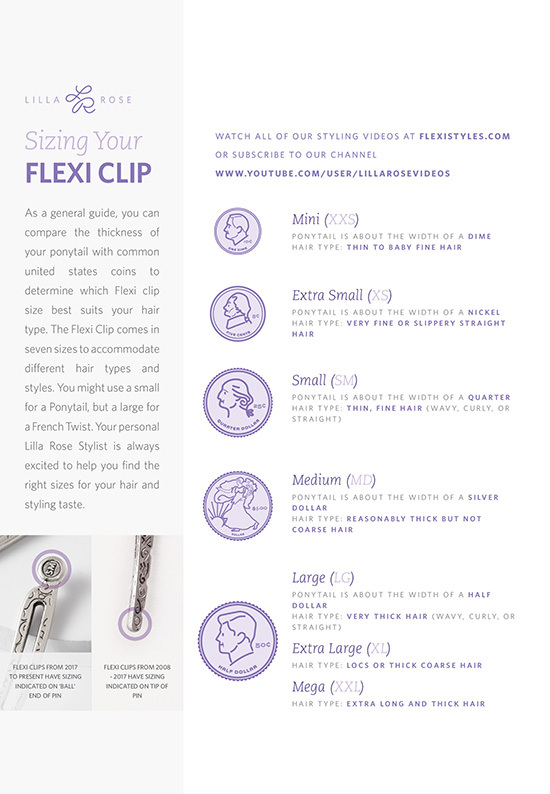 Many other hair sticks styles are sold separately for a customized choice. 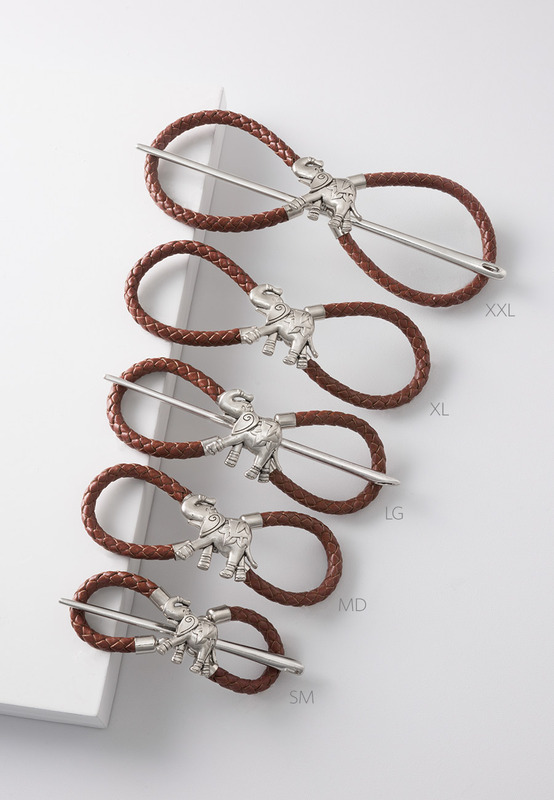 Small 8: Short Stick 90mm / 3.5"
Medium 8: Medium Stick 115mm / 4.5"
Large - XXL: Long Stick 155mm / 6"